–Albert Einstein, scientist and developer of the atomic bomb, who worked and taught in the Institute for Advanced Study (IAS) at Princeton. Patty remembers how he would come to her desk, lean over, and greet her with, “Gutten morgan” (good morning) or “Gutten tag” (good day), and start a conversation (in broken English, of course). –Thomas Dewey, former Governor of New York who had lost his presidential bid to Franklin Roosevelt in 1944 and to Harry Truman in 1948. –George C. Marshall, Five-star General, Nobel Prize winner, Time magazine Man of the Year, former U.S. Secretary of State and Defense, but most notably organizer of the Marshall Plan that helped Europe recover after WW II. Marshall was born in Uniontown, not far from Patty’s hometown of Natrona Heights. Of course, there were others: Mohammed Reza Pahlevi, Shah of Iran; Judge Harold Medina, held famous conspiracy and treason hearings. 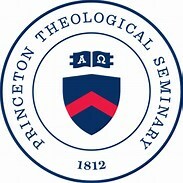 (Patty remembers that his daughter was married to actor Joseph Cotton); Vijaya Lakshoni, first woman head of the United Nations and related to both Gandhi and Nehru; and William Albright, who worked with and called the Dead Sea Scrolls, “The greatest archaeological discovery of the 20th century.” These are only a few of the interesting persons Patty met while at Princeton. Our next interesting person is Arnold Stucki (1862-1948), in this case cousin-by-marriage, born in Switzerland and husband of Florence Henrietta Campbell (1873-1952).6This short narrative begins with the founding of the Standard Steel Car Company, of Butler, PA, in 1902 by Arnold’s son-in-law by his first marriage, John Hansen. The last half of the 19th century had seen the great increase in steel production and railroad transportation in America. With the backing of none other than Andrew Mellon, the 29-year old Hansen established a new freight car production plant and hired the famous “Diamond Jim” Brady as his Vice President of Sales. Arnold Stucki was the company’s Chief Engineer, and he traveled the country with Diamond Jim, spending much of their time in New York and Chicago. In a biography written by Arnold’s grandson, William Hansen, Brady is described as, “a lavish entertainer who threw extravagant parties for his customers and actually gave away diamonds to the wives and girlfriends of his railroad guests.”7 While this was going on, Arnold was back in his room doing all the technical designing and negotiating with the customers’ home offices. The other work that Arnold was doing was the study of various freight car side bearings, the devices that allow loads to be transferred efficiently between cars and or cars and docks, what’s called “dynamic control.” In 1911, Arnold started his own enterprise, A. Stucki Company. With offices in downtown Pittsburgh, the firm manufactured bearings, all locally, for about 50% of the 150,000 freight cars built between the World War I years of 1914-1918. 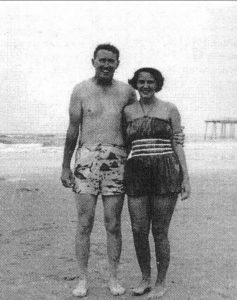 Arnold’s first wife died in 1921, and in 1925, he married Florence Campbell, eleven years younger, a Slippery Rock graduate, and public school teacher on Pittsburgh’s North Side. Florence lived with her two sisters, one a seamstress who never married and the other who taught with Florence and eventually married a graduate of what is now Carnegie Mellon. 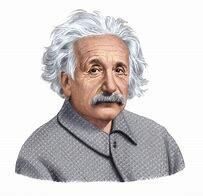 He was a successful electrical engineer with his own company. We believe that Florence and Arnold met through one of her sisters’ professional husbands. The genealogical sources for the couple reveal passports and ship registries for Europe, South America, and Hawaii. Some of the trips were business, some to visit Arnold’s family back in Switzerland, but surely always, pleasure was in order. Spending many winters in Florida, the Stuckis often travelled in the private rail car of the General Manager of the Pittsburgh & Lake Erie Railroad (P&LE). 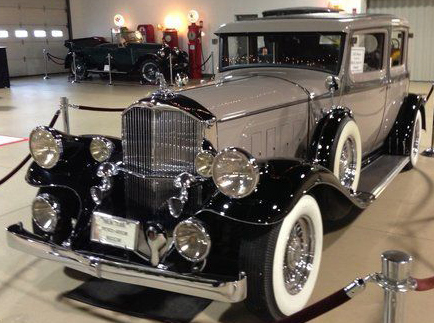 Once back home, Arnold and Florence could often be seen driving about in their luxurious Pierce-Arrow. Arnold passed away in 1948 at the age of 85, no doubt still sporting that Swiss-German accent, not unlike another famous Arnold. Florence died several years later at age 79. This paragraph of interesting persons includes several generations of our Campbells and their association with a family name especially prized in Pittsburgh for football and around the world for food.8William Jennings Campbell, Sr. (1904-1997) was the fourth generation after Thomas and Mary and son of William Oliver Campbell (1868-1939), whose biography is recorded in Memoirs of Allegheny County. As was often the custom, and necessity, in those days, William Oliver quit school at age fifteen to help his father on the farm in O’hara Township. Within a few years his father retired and the younger William split the land with his brother. The main crop raised there was tomatoes, and they went directly down over the steep hill into the Sharpsburg plant of H.J. Heinz.9Father William Oliver Campbell owned the farm at 250 Old Mill Road in what is now the affluent northern suburb of Pittsburgh known as Fox Chapel.10 According to his granddaughter, William and his sons William Jennings and Lawrence would start 18,000 to 20,000 tomato plants in the spring of each year. When the ground reached just the right temperature, they placed them in the ground with a bed of straw around each plant to keep the tomatoes clean as they developed. In the late summer and early fall, before the first frost, the ripe red fruit was carefully picked, placed into baskets, and delivered down to the H.J. Heinz plant along the Allegheny River to be made into the world-famous ketchup and other tomato products. She says that her Granddad William Oliver became known as “The Tomato King” of Allegheny County because of the quantity and quality of his produce. 11 Finally, I count my times with cousins Joan and Bernie Ganley of Indiana, PA, a wonderful honor. Born Joan Vivian Campbell (1927-2017), she graduated from what is now Indiana University of Pennsylvania with a degree in education. My wife and I each hold similar degrees from that same institution. While in college she competed in both swimming and archery. She served both the Girl Scouts and several sororities. 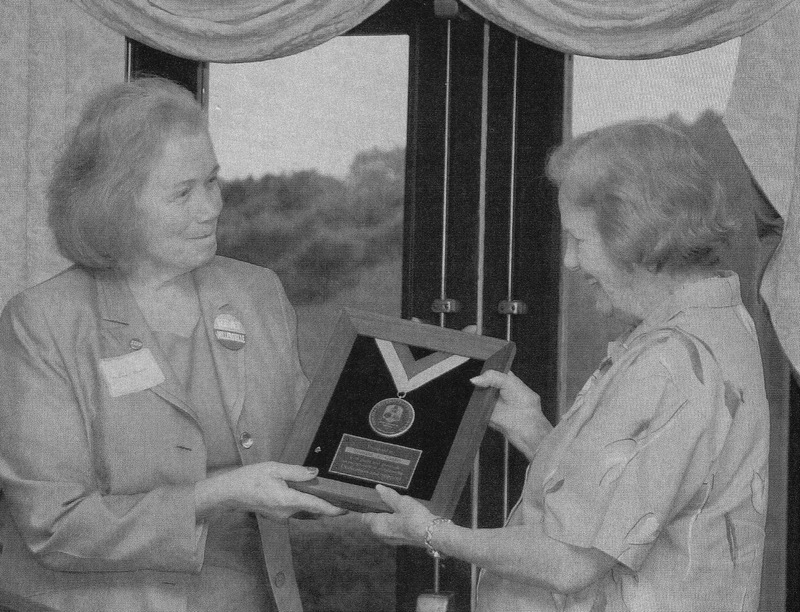 Joan taught home economics many years in both public schools and at the University. It was at IUP where she met a handsome young man of Irish descent, Bernard Ganley (1921-1999). “Bernie” was also a teacher, but he also coached and counseled in several local public schools before beginning his 20-year career at IUP. In addition to working as Dean of Men and coach of football and track, he was probably most honored in 1968 for coaching the men’s golf team to a national championship, the highest such honor for any of the school’s dozens of athletic teams thus far. Eventually, Bernie was promoted to administrative assistant to the President of the University, which led to serving as interim president in 1979, the only alum or ad assist to ever do so. After he retired from IUP in 1981, Bernie accepted the position of President of nearby Mount Aloysius College, where I served as an adjunct for 21 years. He was admitted into the University’s Sports Hall of Fame in 1996, just three years before his passing. In additional to being kind, hard working, and extremely intelligent, Joan and Bernie were always very active. They retired to the West Palm Beach area of Florida to be near the water and play golf. Bernie worked part-time at the PGA headquarters there and encountered many of the world’s most famous golfers, including his neighbor from Western Pennsylvania, Arnold Palmer. Wife Joan stayed busy right up to the end with church and correspondence. As I said, she was always kind and considerate to Susan and me, and we miss her dearly. 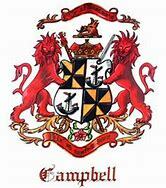 In conclusion, the stories of our Campbell cousins, their spouses, and many of the people they’ve worked with or encountered over the last several centuries have left us with a rich heritage. I’m sure there’s lots more where that came from, and our research continues. But, as we said in the opening paragraph, you may have a tidbit that will interest our readers. Please send it along via the comments box below. If it contains something of a personal nature, just indicate and we’ll be as discrete as possible, probably contacting you for clarification before anything is posted. That’s how we can preserve these precious and interesting moments for posterity. Hardie, Frances C. Fox Chapel: A History of an Area and its People. Pittsburgh: Financial Press Corporation, 1987. As we said in another story, “A Brush With Greatness,” the modern day spelling of the topic word “cousin” comes from the Middle English which came from the French, “cosin.” Click here for a complete definition. If you wish to be technical, have a look at the article, “Less Familiar Kinship Terms & Definitions”. Here we’re considering both “collateral” relationships, or those through marriage, not blood, and perhaps “fictive,” those not related at all but still thought of as part of the family, and by blood. 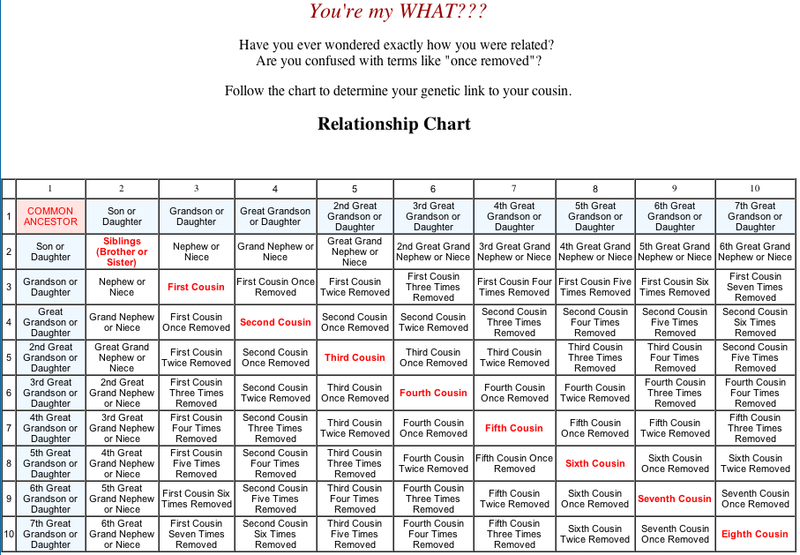 If you have some extra time or want to have some fun with family, acting as though you’re a genealogy expert, have a look at the “Cousin Table” or the listing of Thomas and Mary Campbell’s descendants to see exactly your relationship to the people we’re about to meet. As a caveat, I’m fairly certain that many of these folks have passed, but I don’t have that information at this time. We use complete names whenever necessary because of the numerous repetition of Scottish naming practices. In this case, William’s father was William Oliver Campbell and his son was William Jennings, Jr.
“Patty” met her husband Don at a reception being held at the Waynesburg, PA, Presbyterian Church in 1947. Coincidentally, that day was also his birthday. Don had had his college education interrupted at what is now Waynesburg University by World War II, during which he served as a combat infantryman in the Pacific. Marie Huggins Millheim, mother of Patty Meeder from the previous story. Yet another cousin was the late Florence “Flo” Campbell Boswick, one of the contributors to this article. Brady came from humble beginnings to become extremely knowledgeable of the railroad industry. It’s said that with his earnings he invested in the stock market and became quite wealthy. A collector of gems and fine jewels, he accumulated what would be worth $58,832,000 in 2017 dollars. He was known for his relationship with actress Lillian Russell, with whom he dined very well. After his death of a heart attack in 1917, an autopsy revealed that his stomach was six-times the size of a normal man. Henry John Heinz was the son of German immigrants from Bavaria. H.J. Heinz’ Grandmother Charlotte Louisa was a Trump, directly related to Donald J., our 45th President. Interestingly, the Trump name came in various forms before the Thirty Years War: Drumpf, Drumb, Tromb, Tromp, Trum, Trumpff, Dromb, and others. The Trumps were winemakers, and ironically, President Trump doesn’t drink. Perhaps even more ironic is that H.J. Heinz began as a processor of horseradish in 1869. 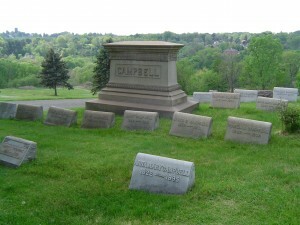 The large Campbell burial plot at Greenwood Cemetery, O’Hara Township, is just feet from the Heinz family plot across an access road. Members of both families surely knew each other on a first name basis. Neighbors reported each winter seeing sons William Jennings and Lawrence going past on a bobsled being pulled by a team of horses to bring back coal from a local mine to heat the farm house and probably the greenhouse-nursery. As an aside, records indicate that neither William Jennings nor his brother Lawrence chose to keep their family farm going and it was sold after the death of their mother. William Jennings had also worked for a General Motors shop in Pittsburgh and became known for his green thumb with many varieties of roses in the back yard and some 500 African violets in a specially constructed area inside his home. True to his Scots-Irish heritage, he was known as “an avid devotee to a disciplined life-style.” At age 91 he boasted of completing 7,000 miles on his exer-cycle at an assisted living facility. He lived another two years after that. The younger William’s son, Dr. William Jennings, Jr., went into the ministry, responsible as the chaplain for four nursing homes and two retirement complexes. 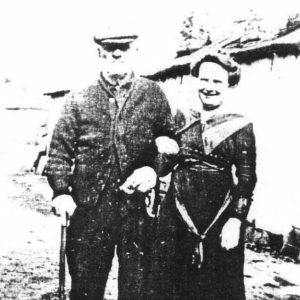 Their children, Rose and (also) Bill, were serving in the ministry and mission fields as well. You could say that this “branch” of the family, if they weren’t growing tomatoes or flowers, were nurturing human fruit.